A study of more than 2,000 seniors published online in the Archives of Internal Medicine found that high blood pressure is a good thing in fact, unless you are a frail elder person, when it is a serious issue indeed. However, even if your blood pressure is normal, you should consider making lifestyle modifications to prevent the development of high blood pressure and improve your heart health, in order to preserve the health of the entire body. To avoid all dilemmas: high blood pressure is a health hazard indeed, for it causes damage to arteries in the heart, kidneys, and throughout the body, leading to heart attack, heart failure, stroke, kidney failure, and other serious health problems. 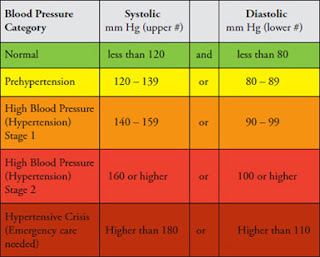 Consequently, treatments to lower high blood pressure are often aggressive. That’s why many doctors recommend aggressive steps for lowering high blood pressure. However, newest research shows that a one-size-fits-all approach doesn’t work for all. This means that the treatment for blood pressure in a 50-year-old might be different from the one suitable for a frail 80-year-old. According to the American Heart Association, starting at age 20, if your blood pressure is less than 120/80 mm Hg, you should do a blood pressure screening at your regular healthcare visit or once every 2 years. Each heartbeat increases your blood pressure, and it falls when your heart relaxes between beats. 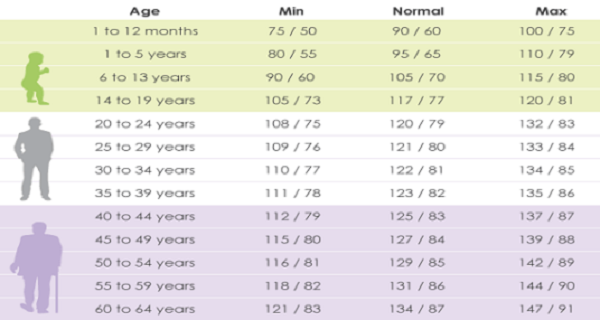 Therefore, your blood pressure can vary from minute to minute with changes in posture, exercise, stress or sleep, but its normal value should be less than 120/80 mm Hg (less than 120 systolic AND less than 80 diastolic) for an adult age, meaning 20 or older. Results show that about one in three U.S. adults has high blood pressure! 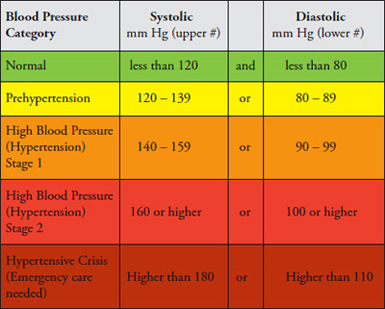 A single high reading does not necessarily mean that you have high blood pressure. In case you are one of those whose blood pressure reading is higher than normal, your doctor may take several readings over time before diagnosing you with high blood pressure. Nevertheless, if readings remain at 140/90 mm Hg or above (systolic 140 or above OR diastolic 90 or above) over time, then it is time to do some changes in your lifestyle, and in addition, for those with readings of 140/90 or higher, the doctor will prescribe needed medication. In case you get a systolic reading of 180 mm Hg or higher, or a diastolic reading of 110 mm HG or higher while monitoring your blood pressure, you should take it again after a few minutes. If the second results are at or above that level, you should seek immediate emergency medical treatment for a hypertensive crisis.